The developer Larian Studios announces players will be able to gain some free content in the form of gift bags for Divinity Original Sin 2 along with the latest update and explains why these are different from loots boxes. 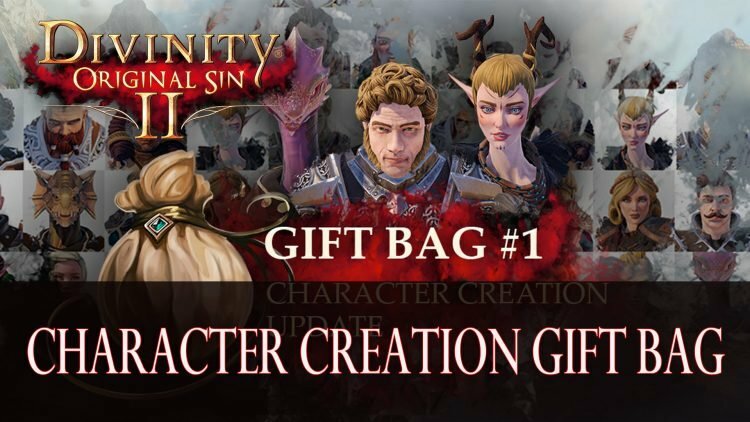 Making sure that fans of the game understood that the gift bag received in-game for Divinity Original Sin 2 is far from a loot box. Describing loot boxes as “hard and ostensibly containing loot” while “gift bags are soft and contain gifts”. These “Gift Bags” were released by Larian containing a new customisation options such as facial features, entirely new faces and hairstyles that you can use in your campaign. You can also use the new additions by heading to the Magic Mirror located aboard the Lady Vengeance to respec your current character. There is also a plan to release a second gift bag during this year, no specified release date has been announced but the developer has stated it will be contain more customisation options that have been “inspired by our modding community”. The new content is now being created alongside two other European developers Fools Theory and Anshar Studios. Divinity: Original Sin 2 is available to play on PC, Xbox One and Playstation 4. If you want more Divinity Original Sin II content be sure to check out our latest builds guides in Divinity Original Sin 2 Definitive Edition: The Sourceror’s Guide To Lone Wolf and Divinity Original Sin 2 Builds: Occult Flamewielder (Mage). You can also check out our Divinity: Original Sin 2 wiki for all your adventurer needs.